Pressure sores in assisted living facilities continue to be a significant problem for the elderly and infirmed. If left untreated, even a minimal pressure sore can develop into a serious and sometimes lethal condition. A pressure sore can form when an individual loses their capacity to move freely. Sitting in a chair or lying in bed for an extended length of time can diminish the flow of blood to the skin, which can break down the skin tissue and eventually die. As the necrotic tissue begins to erode from the area, a hole in the skin grows. If given the chance, bacteria can creep inside the ulcer, allowing infection to devour healthy tissue while invading the bones and blood. Like any wound on the skin, pressure sores can be extremely painful and take a significant amount of time to heal properly. Usually, these decubitus ulcers can develop on bony prominent parts of the body including the heel, hip, ankle and tailbone. Constant pressure caused by immobility and lack of repositioning can occur while in bed, seated in a chair or sitting in a wheelchair. If your loved one developed a bed sore during an admission to an assisted living facility, you may have grounds for a lawsuit. Contact the Nursing Home Law Center LLC and you case will be reviewed by an attorney for free. Pressure sores are often referred to as bedsores, decubitus ulcers and pressure ulcers. The lethal potential of the problem has caused the federal government through Medicaid and Medicare to monitor them closely for individuals living in nursing homes and assisted living facilities. Assisted Living FacilitiesIn most incidences, the development of a bedsore after an individual has moved into an assistant living facility is usually an indicator of poorly managed health care. Because attentive caregivers can prevent nearly every type of pressure sore, they often develop as a result of negligence, abuse or lack of training. Medical professionals grade pressure sores using a scale that ranges from stage I to stage IV. With skilled professional medical care, stage I and stage II pressure sores are easily treated. As a result, some residents move into assisted living facilities directly from a hospital setting, and it times, already have low-grade pressure sores during admittance. However, by law, assisted living facility medical staff is expected to provide premium professional medical care to ensure the wounds heal quickly. Understaffing and lack of training often results in a deficiency of proper health care for the elderly residing in assisted living facilities. This problem is likely to continue in the future as more aging baby boomers are living longer into their retirement years. Staffing is often highly inadequate to provide quality of care to an aging, frail population residing in the assistant living facility. The lack of strict guidelines on how long workers can be clocked in during any shift has many medical staff overworked and fatigued, which often leads to increasing negligence of residents. Because the ultimate objective of the facility is to generate profits, the health of the residents is often compromised to meet financial goals. State and federal regulations recognize that most pressure sores in assisted living facilities are preventable, and should never develop while the health of the resident is managed by basic nursing care. This is because decubitus ulcers can be extremely painful and have the potential of leading to horrific infections. When a loved one develops a pressure ulcer after being admitted to an assistant living facility, the nursing staff, administration, management, doctors and facility should be held financially accountable. If an elderly family member has developed pressure sores after being admitted to an assisted living facility, it is important to hire a skilled personal injury attorney to protect their rights. A reputable lawyer can hold the assistant living facility and staff accountable for neglect, abuse and malpractice for causing injury. If your loved one developed a bed sore during a stay at an assisted living facility, there is a strong likelihood that the facility was not providing the care that they should have. 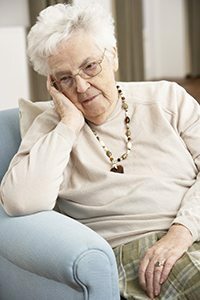 Nursing Home Law Center LLC knows how to prosecute these cases and hold assisted living facilities fully responsible for bed sores and other injuries related to neglect. Call Nursing Home Law Center LLC at (800) 926-7565 to speak with an experienced attorney about your claim. The law firm can stop the neglect at the assisted living facility and evaluate the merits of your case to provide legal options.